If you are going to Coldplay tonight – we have all the information to help you not pay a bomb for your parking. 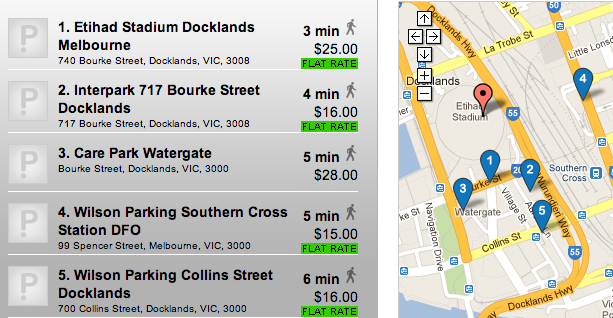 There are a number of car parks around Etihad Stadium. CONVENIENT CHOICES – You will not be able to get the usual $5 – $7 evening rate because of the event. These are for those who don’t mind a bit of a walk – looking at around 15 minutes. $6 – that ain’t bad!! !